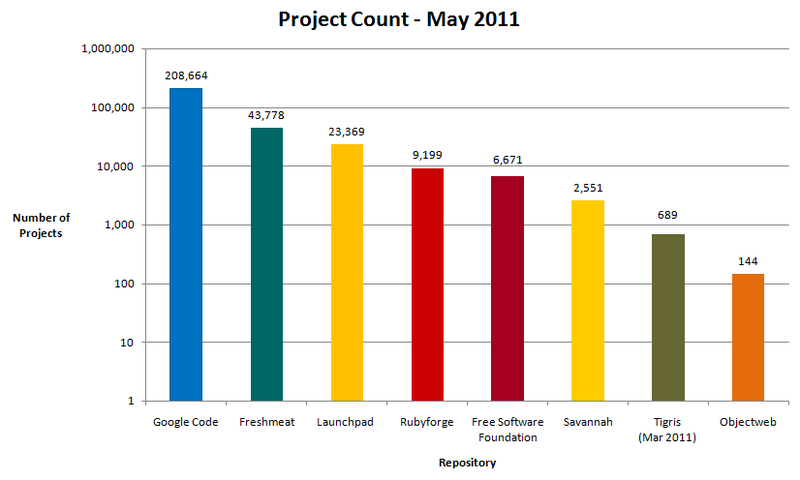 This chart shows the number of projects at each repository that share URL's as of May 2011. Notes: RF had 697 projects without a project start date. OW had one project started in 1970.